Judgment, The Fires in Bethel and a Correction on the Usage of "Dunamis"
As of yesterday the numbers I read showed the wildfire in California has already burned 89,194 acres, destroyed 536 buildings, damaged 117 others and is threatening nearly 5,000 more. It remained only 5 percent contained as some 3,388 firefighters were battling the fire. There are six casualties to date. It is a serious catastrophe that needs serious commentary only, not glib Christianese and religious speculation. Let me start with the obvious. God did not send the wildfire to punish Bethel Church in Redding California for the cornucopia of heresy it promotes and presides over. Listen beloved, no one is more outspoken regarding the false teachings of Bill Johnson, Kris Vallotton, and Shawn Bolz than I am. I am also keenly aware of the ironic nature of a church that does not understand God and likes to call for fire from heaven to fall then getting visited by such a disaster. The truth however must remain the truth and we need to be consistent appliers of God's Word. When Christians declared Hurricane Katrina God's wrath about the wicked city of New Orleans, we rightly called foul. God does not indiscriminately act as such. Judgment is yet to come beloved and once it does come there will be no going back. It seems many on the Bill Johnson side of the NAR love to blame God for purposefully sending calamity to destroy sin. All one needs to do is look across this globe and see the disasters affecting nearly every country, every religion, and every creed to know that thinking is nonsense. The planet is groaning with the birth pains that signal Christ's imminent return but the notion that a specific disaster was sent by God to punish is not supported and damages our witness for Christ. That said, the same must apply to Bethel Church. Now, all things happen on earth through the permissive will of God because He is sovereign. So He could have stopped it but permitted it. This too should not be read into as God allows everything. Rain falls on the just and unjust alike beloved. The first two statements are 100% true. The third statement is an absurd conclusion that ignores some basic facts. Beloved, the 19th century usage of a first century Greek word does not inform as to the meaning of it in the first century. When God divinely inspired the word dunamis in the Bible dynamite had not yet been invented and would not for 1800 more years. 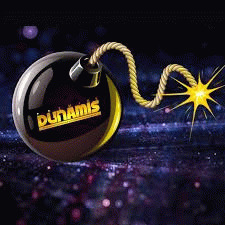 When the writers of the New Testament used the word dunamis, they knew nothing about dynamite or blowing anything up. So what preacher? What's the big deal? Isn't the Holy Spirit powerful? Of course but not in the carnal ways we think. We like to usurp power, especially from God. It is in fact the same sin as Lucifer. It is the same sin he then tempted Eve with. To be like God. If you think this dunamis teaching is benign just take a look at the rest of the Facebook post from this Bethel congregant. Beloved, we do not have the power to command the weather. The usage of throwing that mountain into the sea in was allegorical, not literal. When you thank God in advance for the miracle in Shasta that has not actually occurred yet you must realize that you are commanding God. We do not have the power to call things that are not as though they are. Do you know who does? God. Read the key verse carefully. Who has the power to call things into existence which was not? God has that power and we need to be very cautious in usurping what belongs to God. You can believe all you want but God is sovereign. This is a misunderstanding of believe and you shall receive. That of course is in relation to God's will, not our own. We cannot receive what has not been offered. As someone who has followed the teachings at Bethel this congregant sums up a lot of what they are taught. It is purely carnal in nature and seeks to supplant God, not worship Him. That said, we ought to be praying for the people of California and Bethel. They are like sheep without a shepherd and our hearts should weep for them because they will stand before the Lord one day and say "Lord Lord." Until that time however we share this planet with them and we ought to be praying for them and for the brave first responders in California. Ask that God stay His hand upon them and that this fire be contained. Praying means asking beloved, not ordering. The type of dunamis we have inside of us is not to blow things up but to walk humbly before our God.